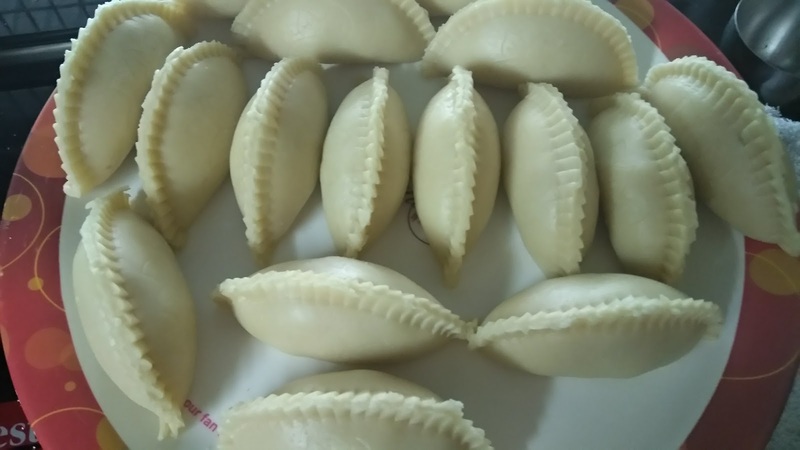 Gujiya is a popular north Indian sweet without which Indian festivals are not complete. 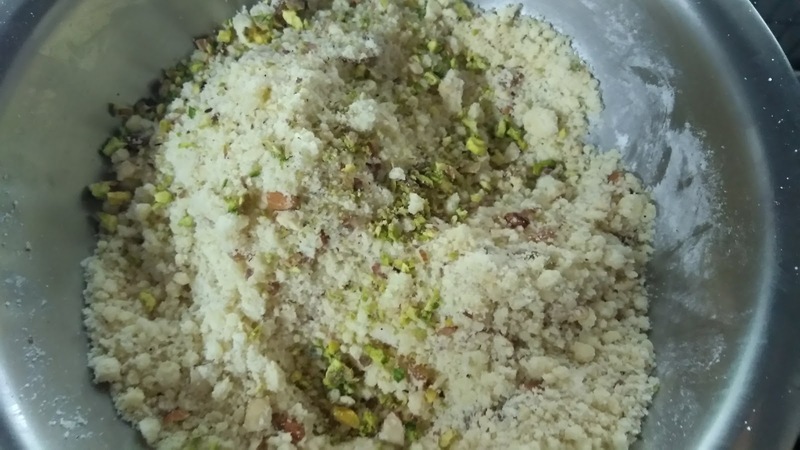 It’s most commonly served during Holi festival but I feel sweets doesn’t require any labeling they can be cherished throughout. 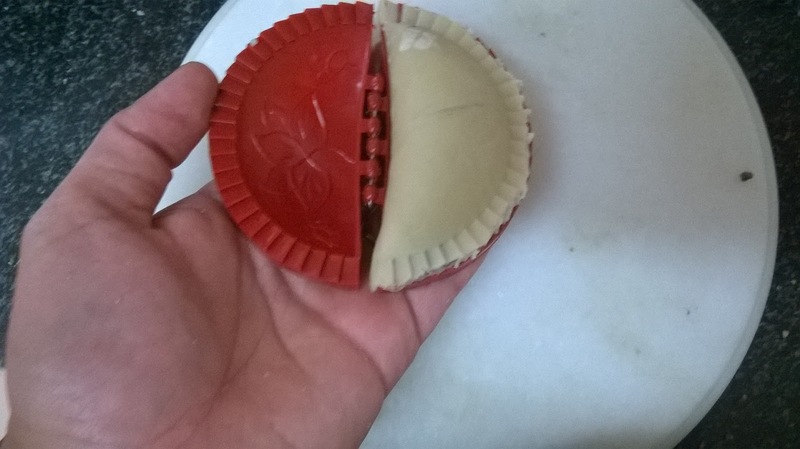 Divide dough in equal medium sized parts. 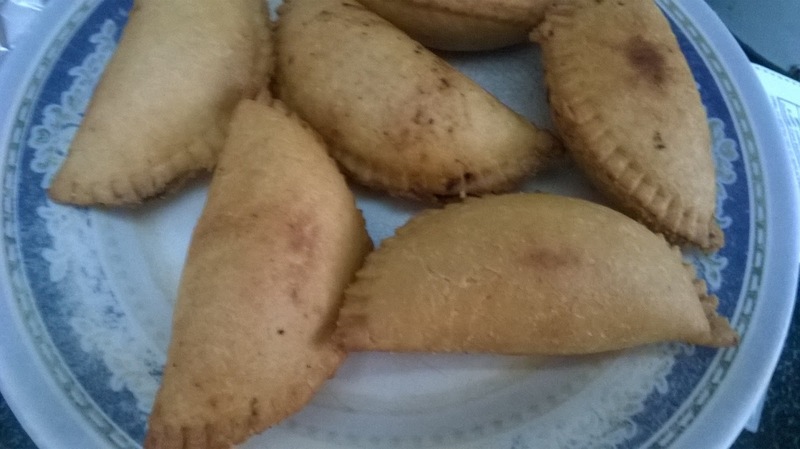 Don’t take too small balls or it will result in thin gujiya which will be difficult to handle while frying. 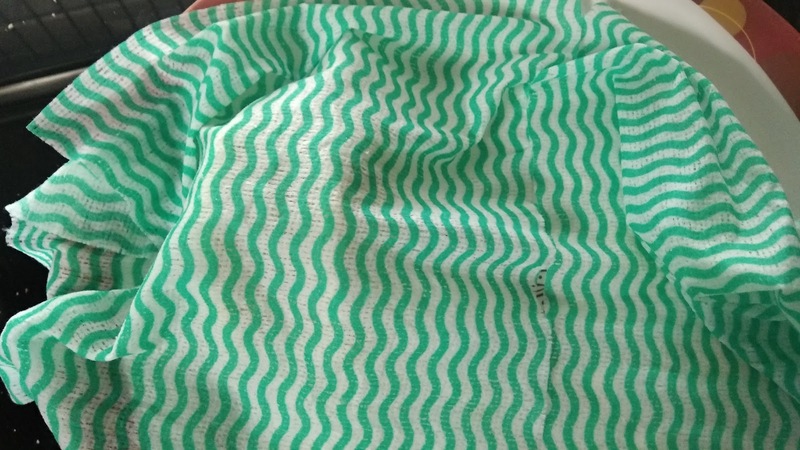 Cover it with wet cloth to avoid drying. 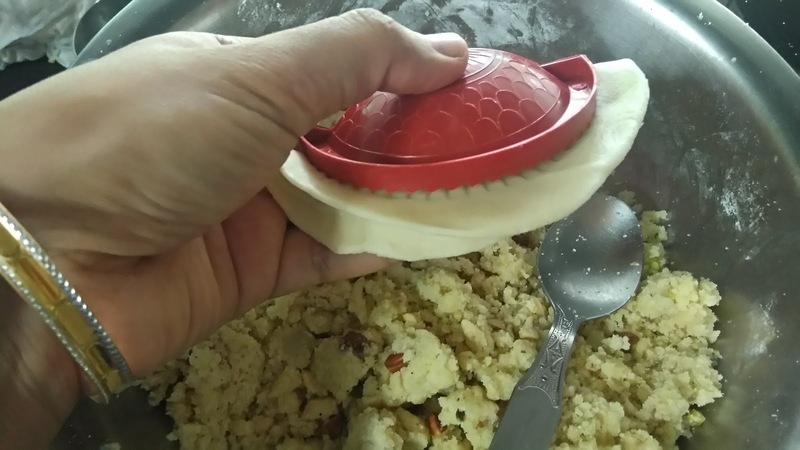 Keep it on gujiya mould, grease the edges with water all around well. Add filling, don’t add too much of filling or it will come while frying. 5. Cover with wet cloth and keep aside for 30 minutes. Don’t refrigerate it. 6. After 30 minutes give a good knead, sprinkle some water if required, don’t add much water or it will result in air-bubbles. 13. 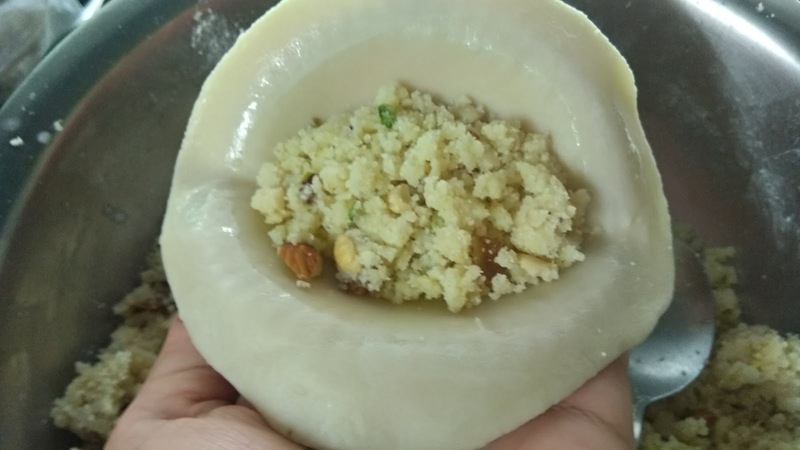 Roll lemon sized dough, keep in the gujiya mould, add around a teaspoon of filling. 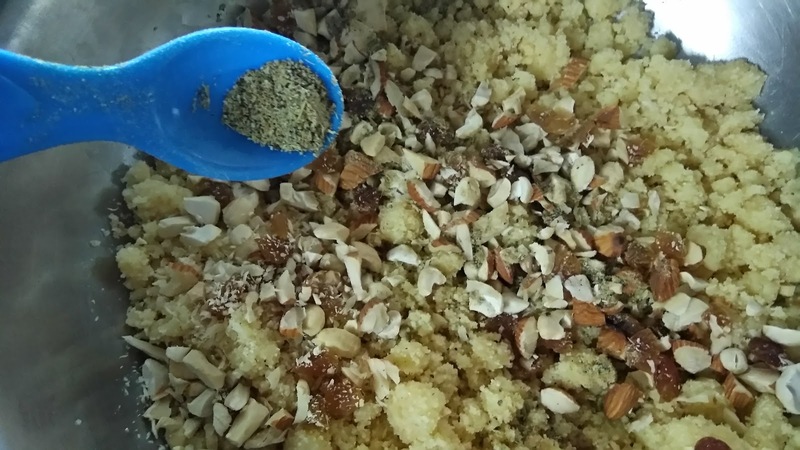 Don’t over add or filling will come out while deep frying. Apply water all over the edges. 17. Keep it aside and don’t forget to cover it with wet muslin cloth.